Send A Message To Sonita. Sonita has been working in the Mental Health Field in Medicine Hat, Alberta for the past twenty years. Sonita is a Registered Provisional Psychologist and a Registered Social Worker with a Master’s Degree in Counselling Psychology. She has extensive experience and expertise. She has worked with many children, adolescents, parents and families. She uses a holistic approach which includes the biological, sociological, and psychological needs of the client. She will work collaboratively with you -the client – “you are the expert of your story." Many people struggle with psychological pain including, difficult emotions and thoughts, unpleasant memories, and unwanted urges and sensations. This can lead to ruminating, excessive worrying, resentment, and dread. At the same time, people display tremendous amounts of courage, compassion, and the will to move forward in positive and beneficial ways. Many of our problems act as barriers to living the quality of life that we are striving for. I can assist you in moving from suffering to engaging in life. These difficulties can be changed. Individuals can learn how to experience and respond effectively to a broad range of emotions in adaptive and effective ways. Maladaptive behaviours and life-long patterns can be restructured. By increasing your ability to regulate your emotions and make choices to engage in values guided action you can increase your tolerance skills, regulate emotions, and broaden your awareness. Utilizing an integrative approach, Sonita can help you to meet your individual and family's needs. Her practice is client-centered and focuses on helping you heal from past wounds, and becoming the person you want to be. Every client is unique, therefore a combination of psychotherapy approaches may be helpful. These may include: Acceptance and Commitment Therapy, Solution Focused Therapy, Cognitive Behavioural Therapy, Dialectical Behaviour Therapy, Mindfulness, Relational Frame Theory, and Emotion Focused Family Therapy. 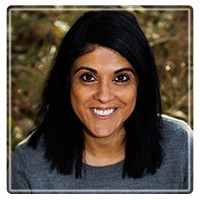 Sonita’s specializations include: improvement of relationships, shame reduction, stress & anxiety management, reduction of depressive symptoms, self-compassion, and trauma processing. You can free yourself from negative thinking and self-judgement, transform emotional pain, commit to what you care about, and live a life you value.